I need a place for my loved one immediately. Can you help? 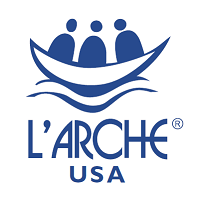 L’Arche Wavecrest currently supports one L’Arche home in Southern California. We aim to expand our efforts and open additional homes in the future. Through experience, we learn that life is an evolving process – and so is our expansion! Because we are a faith-based home, there are special elements on the journey become a Core Member with L’Arche. To start your journey towards becoming a Core Member, we invite you to familiarize yourself with L’Arche communities by joining us at events and gatherings. Meet our current Core Members & Assistants. Join us in friendship and become part of our Wavecrest family. Then, as we continue to expand and have available occupancy, our friendship can continue and evolve. While there are other group homes that might have immediate occupancy, we seek to build relationships and community within L’Arche, and the process takes time. We hope you will choose to be a part of the process and come to experience The Heart of L'Arche. Check out our calendar, join our mailing list, or contact us and arrange a visit!